We’ve been to a small town baby “expo” before but today was our first official small town craft show. See here my humble little stall. Very sparse compared to most of the other crafty stalls on display. Perhaps that’s what the problem was? Or perhaps it was the wrong target market walking past my simple stand? 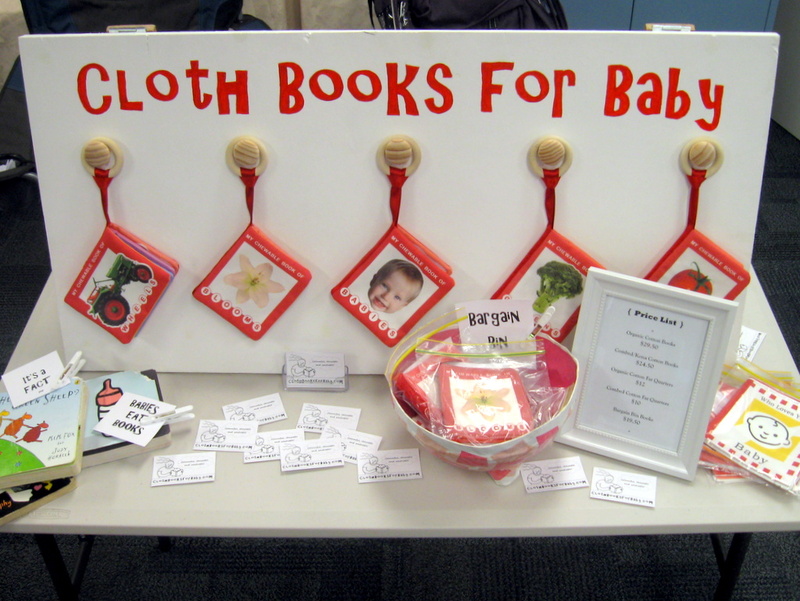 I know that those who do buy my chewable cloth books love them. And their babies love them too. Ben was beside himself when he saw the fat quarter for the book of wheels on display – all his favourite wheels on ONE page! Next outlet to try is the local market. There’s a couple coming up next month, just in time to catch the Christmas shoppers. Let’s hope we’re not like that little piggy who cried wee, wee, wee all the way home! 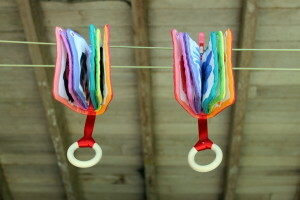 Where do you keep baby’s cloth books? Pretty rainbows!